Van Dalen was delighted with his victory, but was also impressed with the day itself. “The weather was beautiful, the views were stunning and I really enjoyed the stage,” he said. Overnight race leader Cyrille Thiery (Switzerland National Team) finished seventh and kept his grip on the yellow jersey. Ulises Alfredo Castillo Soto (USA Jelly Belly p/b Maxxis) attacked. He was joined several kilometres later by Irish riders Simon Ryan (Cork STRATA 3 - VeloRevolution Cycling Team), Conor Kissane (Kerry Killarney) and Seán Hahessy (Westmeath Viner-Caremark - Pactimo), who would stay clear over the category two climbs of Ladies View (km 82.4), Molls Gap (km 87.3) and Garranes (km 117.1), where Kissane won each of the primes and moved to within one point of the total of the King of the Mountains Lukas Ruegg (Switzerland National Team). However they were caught and dropped by Taylor Shelden (USA Jelly Belly P/B Maxxis), who took the prime atop the category one climb Healy Pass (km 127.7) Ruegg took second and padded his mountains lead and then, following Shelden’s recapture on the descent, made sure of things when he won the category three climb of Cooleriagh (km 145.3). Overnight race leader Cyrille Thiery (Switzerland National Team) was seventh and maintained his grip on the yellow jersey. He remains ten seconds clear of Luuc Bugter (Netherlands Delta Cycling X), 11 ahead of Damien Shaw (Ireland Holdsworth Pro Racing Team) and 13 up on Robbe Ghys (Belgian National Team). McLaughlin is the best Irish county rider overall, although he is level on time with Mark Dowling. He was delighted with the day. “I am very pleased. I rolled in top ten there. It was one of the harder stages of the race, and probably the first test. I think the last three days would have been fast stages. Today I think was a stage that everybody was looking at as the first real test. I passed that, I will just take it as it comes. Bugter is well clear in the points classification, Ruegg has a 18 point advantage over Kissane in the mountains and Ghys is best under 23 rider. Stage four was one of the most difficult of the race, with seven climbs littered along the 152.6 kilometres between Listowel and Glengarrif. These included the second category climbs of Ladies View, Molls Gap and Garranes, plus the first category Healy Pass. The attacks began right away. Several groups went clear and were brought back inside the first 20 minutes of racing. A big crash splintered the peloton and put some riders out the back early on. After approximately 17 kilometres Darnell Moore (Ireland National Team) and Martin Frazer (Britain Saint Piran Elite Cycling Team) went clear. They built an eight-second gap, but were soon brought back. Next to try were Adriaan Janssen (Netherlands Delta Cycling X) and James Tillett (Wales Racing Academy - National Team), who were then joined by Claudio Imhof (Switzerland National Team) at the start of the category three climb of Crinny. Rory Townsend (Britain Canyon Eisberg) also bridged, but the quartet was brought back by the peloton at approximately kilometre 25, just over three kilometres from the summit of that climb. King of the Mountains leader Lukas Ruegg (Switzerland National Team) took top points at the top, with Daniel Coombe (Wales Racing Academy - National Team) second and Taylor Shelden (USA Jelly Belly P/B Maxxis) third. Several kilometres later a group of five moved clear, namely Marc Potts (Ireland National Team), Sean McKenna (Ireland Holdsworth Pro Racing Team), Lukas Ruegg (Switzerland National Team), Ulises Alfredo Castillo Soto (USA Jelly Belly p/b Maxxis) and Matteo Cigala (Westmeath Viner-Caremark - Pactimo). After 39 kilometres they were 20 seconds ahead, but chasing by those behind reeled them in three kilometres later. 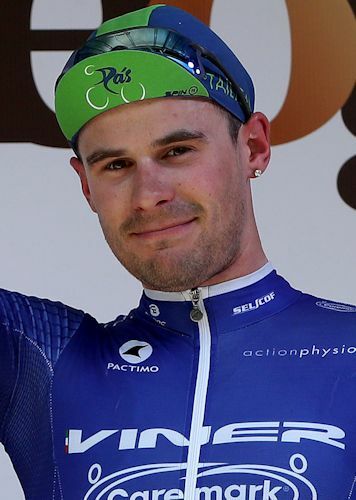 Jake Alderman (Britain Saint Piran Elite Cycling Team) attacked several minutes afterwards and had a 15 second advantage over the next riders going over the category three ascent of Farranfore (km 47.3). King of the Mountains leader Ruegg was next, adding more points to his tally, while William Roberts (Wales Racing Academy - National Team) was third. Alderman was recaptured and then after approximately 54 kilometres, five riders got away. These were soon joined by seven others, and together they established a 15 seconds gap. The break comprised Marc Potts (Ireland National Team), Moreno De Pauw (Belgian National Team), Jake Alderman (Britain Saint Piran Elite Cycling Team), Martin Frazer (Britain Saint Piran Elite Cycling Team), Adne van Engelen (Germany Bike Aid), Jason van Dalen (Netherlands Delta Cycling X), Thery Schir (Switzerland National Team), Ulises Alfredo Castillo Soto (USA Jelly Belly p/b Maxxis), Taylor Shelden (USA Jelly Belly P/B Maxxis), Daniel Coombe (Wales Racing Academy - National Team), Conor Kissane (Kerry Killarney) and Conor McCann (Tipperary Collins Cycle Centre). The riders built an 18 second lead en route to Killarney but the Holdsworth Pro Racing team brought them all back. One of those who had been in the move, Ulises Alfredo Castillo Soto (USA Jelly Belly p/b Maxxis), attacked again on the outskirts of Killarney and established an 18 second lead. He remained clear exiting Killarney but was almost caught soon afterwards. However the peloton sat up, enabling him to draw clear once more. Sensing opportunity, three chasers jumped across - Simon Ryan (Cork STRATA 3 - VeloRevolution Cycling Team), Conor Kissane (Kerry Killarney) and Seán Hahessy (Westmeath Viner-Caremark - Pactimo). They joined Castillo Soto shortly before the start of the Ladies View climb and, once onto the mountain itself, the peloton was at one minute and 55 seconds. The gap soon increased to over two minutes. Kissane was first to the top of the climb at kilometre 82.4, beating Ryan, Castillo Soto and Hahessy. He was again first at the top of Molls Gap (km 87.3), with Castillo Soto second and Hahessy and Ryan next. On both climbs, mountains jersey wearer Ruegg took the points for fifth, trying to hold his lead in that competition and conscious that Kissane was drawing close. The break’s advantage was one minute 15 seconds heading into Kenmare. It subsequently dropped to 50 seconds, but climbed again to just over a minute at the start of the category two climb of Garranes. At the summit, Kissane once again took the top points, beating Castillo Soto, Ryan and Hahessy. Taylor Shelden (USA Jelly Belly P/B Maxxis) came through for fifth. Kissane’s prime win moved him to within one point of the mountains jersey lead of Ruegg, prompting big concerns. Shelden was riding well and bridged up to the break on the next climb, the category one ascent of Healy Pass. He quickly dropped the group and pushed on alone. Behind, the peloton caught the rest of the break and drew close to Shelden before the summit. However he was strong enough to hold on over the prime line, with Ruegg beating Maximilian Stedman (Britain Canyon Eisberg), Cyrille Thiery (Switzerland National Team) and Robbe Ghys (Belgian National Team) for second and thus ensuring he would hold the jersey at the end of the stage. Shelden was reeled in on the descent by 26 others, who were 46 seconds ahead of the next group. 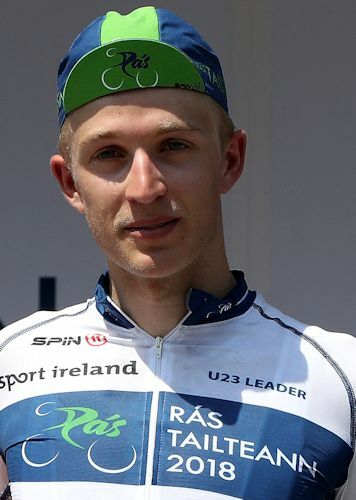 One who was missing was stage two winner Robert-Jon McCarthy; he was descending at the rear of the front group but was blocked by a car and went off the road, suffering cuts and bruises. The fall cost him his chance of a second stage win and also a high general classification placing. 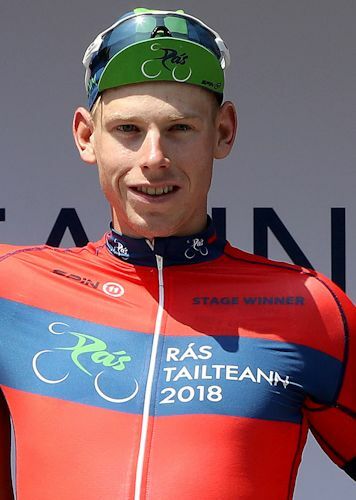 Ruegg beat Nikodemus Holler (Germany Bike Aid) and Jacob Rathe (USA Jelly Belly P/B Maxxis) on the day’s final climb, the category three Cooleriagh (km 145.3), ensuring another day in the King of the Mountains jersey. Several attacks followed between there and the finish line, but the 26 man lead group raced into the streets of Glengarrif together and Van Dalen grabbed the win. Cigala was best county team rider in second, a superb achievement for an amateur rider, while Ghys and Rathe were third and fourth past the line. The race continues on Thursday with a flatter 150.2 kilometres from Glengarriff to Mitchelstown. Early on there will be the category two ascents of the Pass of Keimaneigh and Gortnabinna, plus a later category three climb near the finish.